Ingredients Fresh pasteurized milk, bacterial culture, salt, microbial enzyme, natural wood smoke. Our matured Cheddar is gently smoked in smoldering pure maple wood. The result is a mild smoky flavour that complements the complex, nutty taste of this aged cheese. 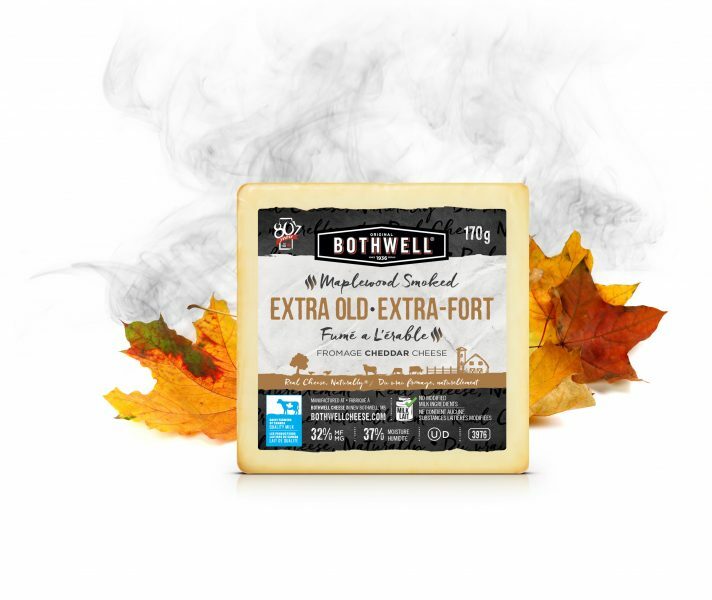 The complex, nutty flavour of our Maple Smoked Extra Old Cheddar is a nice compliment to pale ales, stout, brown ale or cider. Also pair with Malbec, Merlot or dry Sake. 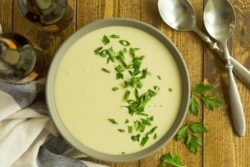 A dream come true – cheese for dessert! 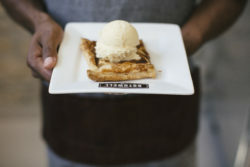 Served with our warm Apple Ginger Tart, this sweet and smoky ice cream is sure to impress.